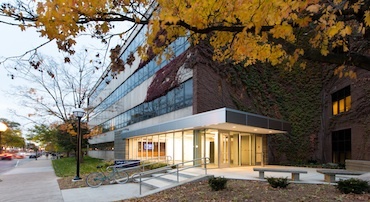 All program participants are required to live on campus during the program. Participants are expected to commit and engage in the learning process for the duration of the program. Attendance is required for all program activities including but not limited to: pre-clinical experiences, courses, workshops, speaker presentations, and meetings with faculty, staff, and mentors. Additionally, some weekend and evening events are required to ensure maximum benefit from the program. As a participant, you must commit to taking advantage of the various opportunities made available to facilitate your entry into the profession of pharmacy. Participants are required to dress and conduct themselves appropriately and professionally during the program. Please refer to the dress code below. While participants are on campus, they will be expected to dress in a professional manner. No torn clothing, inappropriate shirts, revealing clothing, or headgear will be allowed at any time. Students will spend several days shadowing faculty and students in professional settings and must dress appropriately. Participants should plan to bring clothing for a variety of temperatures. Spring in Michigan can be unpredictable.